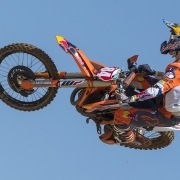 Jeffrey Herlings is the 2018 MXGP FIM Motocross World Champion, and for the seventh time in the last nine seasons Red Bull KTM will scoop both MXGP and MX2 titles in the same year. The Grand Prix of the Netherlands at Assen saw the Dutchman win again in front of ecstatic home fans as Tony Cairoli confirmed his runner-up status. 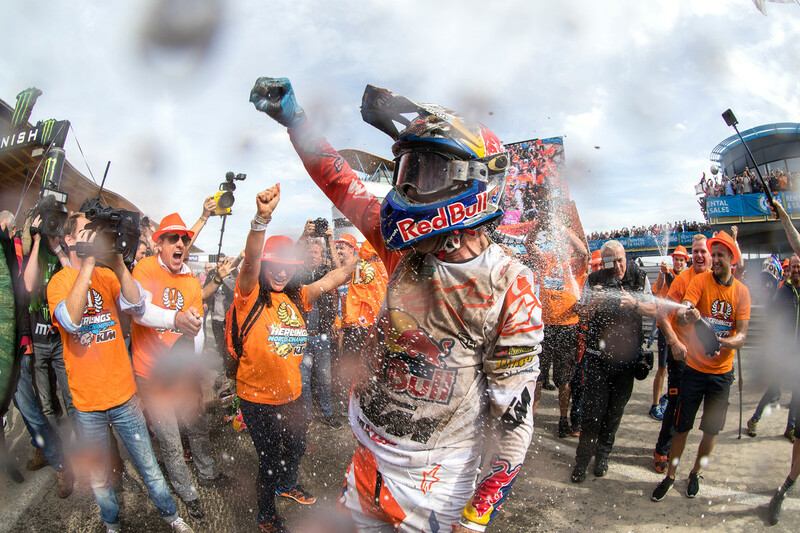 Herlings secured his first world championship with the KTM 450 SX-F in the premier class of the FIM series – becoming the first Dutchman to do so for 30 years – and the fourth of a career that begun with his current Red Bull KTM team in 2010 at the tender age of fifteen.